Just in time. I am totally in love with Washi Tape which is a cross between painters tape and sticky notes. With this set of 12 I have a years supply of colors to use in my reminder binder, scrapbooking, as well as journaling. Very easy to use and can be repositioned if need be on most surfaces. If you like to add color to your life then this is another way to do it. I combine washi tape with colored pens and pencils to keep our family organized through out the year. My favorites are the stars and arrows. The United Tapes Washi Tape can be found on Amazon. What United Tapes has to say about their product. STICKY AND FLEXIBLE: United Tapes products are sticky and also very easy to peel off and reapply. They can be reapplied many times before they start to lose their adhesive properties. Don't hesitate to use on walls. They will leave no residue behind if you choose to remove them. Great for children. 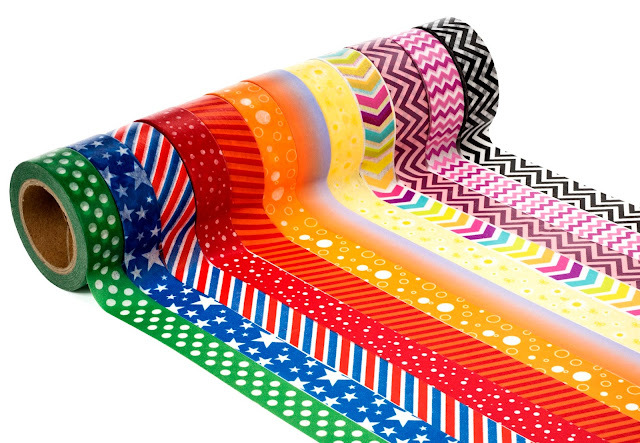 DECORATE TIL YOU DROP: Go crazy decorating anything and everything with these washi tapes. They are perfect for calendars, planners, journals, envelopes, folders, or whatever your heart desires. SCISSOR-LESS: Don't get stuck having to use scissors to cut through other sellers' washi tape. 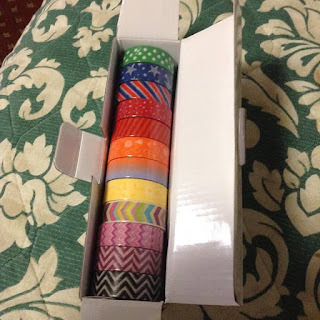 Scissors are not necessary for these washi tapes. Make your life easier by going SCISSOR-LESS. 100% MONEY-BACK GUARANTEE: United Tapes are backed by 100% guarantee that you are fully satisfied with your product or receive your money back. Disclosure: MarksvilleandMe received one or more of the products mentioned above as part of a promotion with Tomoson and United Tapes. Regardless, MarksvilleandMe only recommends products or services we use personally and believe will be good for our readers. Some of the links in the article may be “affiliate links.” This means if you click on the link and purchase the item, I will receive compensation. If you would like MarksvilleandMe to review a product or service please contact us at marksvilleandme@gmail.com.